Have a basic New Jersey driver’s license (Class D). Have 20/40 vision in each eye with or without glasses. Be able to recognize red, green and amber colors. *Federal law and New Jersey regulations require all CLP/CDL drivers to identify their commerce type on the CDL Holder Self-Certification document, and when applicable, submit a valid medical examiner certificate completed by a federally certified medical examiner upon expiration. The cost of the four-year CDL is $42 and $2 for each endorsement. 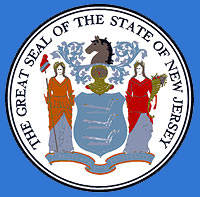 An applicant’s first CDL will be prorated to expire with any current basic New Jersey driver’s license. Applicants without a basic New Jersey passenger driver’s license (Class D) should factor in the $24 fee for the Class D license. The cost of a CLP examination test receipt is $125. This test receipt must be purchased before you can take your knowledge test, endorsement test and/or road tests. After you have passed your knowledge tests, there will be no additional charge for your initial CLP. The cost of the CLP is included in your test receipt fee, along with the payment for medical form review and data exchange with Federal driver monitoring systems. Important note: The medical or background check results can lead to a commercial driver license disqualification. There is no refund of the CLP fee for either the background check disqualification or the medical disqualification. Study in advance by reading the CDL Manual. Visit a motor vehicle agency to obtain the Commercial Examination Test Receipt. Pass the 6 Points of ID Verification (Note: you must present a social security card when applying for an initial Commercial Learner Permit and Test Receipt). Pay the $125 commercial examination test receipt fee (non-refundable). For your convenience, the MVC accepts American Express® card, MasterCard® card, Visa® card, checks, money orders and cash. Take the CDL knowledge test at one of the following Driver Testing Centers: Bakers Basin, Bayonne, Camden, Cardiff, Eatontown, Edison, Freehold, Lodi, Delanco, Newark, Newton, North Bergen, Paterson, Rahway, Randolph, Rio Grande, Runnemede, Salem, South Plainfield, Toms River, Vineland, Washington, Wayne, and West Deptford. Practice driving for 14 days in the type of Commercial Motor Vehicle (CMV) for which you want to be licensed. Return to a motor vehicle agency and obtain your CDL. *Note: CLP holders must wait a minimum of 14 days before taking the skills test. May not receive a passenger endorsement. K – Restriction for Intrastate only. L – Restriction for vehicles with no air brakes. P – No passenger restriction on CLP, if CLP has a P endorsement. V – Restriction for medical variance (the driver must also have the hard copy variance issued by Federal Motor Carrier Safety Administration). X – No Cargo in Tank restriction, if CLP has an N endorsement. E – No manual transmission equipped CMV (If you take the test in a CMV with an automatic transmission, you will receive the E restriction and are prohibited from operating a CMV with a manual transmission). O – No tractor trailer CMV. Z – No full air brake equipped CMV. Effective November 9, 2015, the “Z” restriction code that had been used to capture a Graduated Driver License (GDL) restriction is now captured using a “T” restriction. All GDLs issued up until that time continue to be valid with their “Z” identifier until their expiration date. Taxi drivers (carrying less than seven passengers) and ride-sharing van drivers. Operators of rescue or first-aid squad vehicles. Farmers hauling their own products and equipment within 150 miles of their farms. Non-civilian operators of military equipment. Operators of construction equipment not designed for operation on public roads. Operators of recreational vehicles, provided the vehicle is being operated only for personal use. Pass the 6 Points of ID verification. Pay the $3 fee for a duplicate examination test receipt. Pay the $11 fee for a duplicate CLP. If your CLP was stolen, remember that it must be reported to the police.